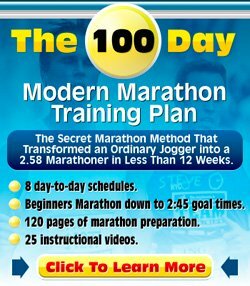 How can I run 3k in less than ten minutes? I just can't do it! It takes me 11 to 12 at least! Please tell me any strategies you know for stamina and racing because I have a race in six days! Thanks for your question about your 3k run. Improving your running times dramatically from 11-12 minutes to 10 minutes takes a lot of time, months and months, way more than six days. Stamina can be built up by doing easy runs. Check out my page about base running drills. For now, we would probably be best off to discuss race tactics. What is important in these middle distance runs is that you run fast, but not so fast that you burn out after 2k. If you can, try to stop yourself from going all-out from the start. Try to run your first 1k as fast as the last 1k. This is hard and comes with practice. But if you normally go all-out, then you would normally run your first 1k fast, your 2nd 1k okay and then run your last 1k a lot slower. Trying to run as evenly as possible with giving it a real kick in the final 1k is likely to help make you quite a bit faster. Whatever happens I hope you'll have some fun on race day as well!